The first Chrysler Pacifica rolled off the line a few weeks ago. Starting at $29,590 (including the $995 destination fee), with a highway mpg of 28, the all-new Pacifica is definitely a head turner. But cool, you ask? Isn’t it still a minivan? Why, yes, it is. And given today’s ever-expanding definition of what is cool, the Pacifica hits the mark on many levels. 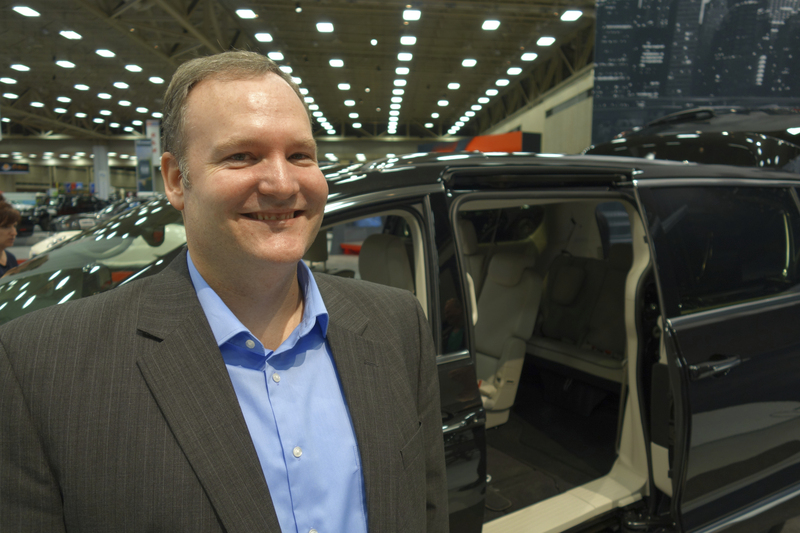 I had the opportunity recently to chat one-on-one with Chrysler Brand Product Manager Patrick Keitz. He’s part of the team behind the all-new Pacifica and when you talk with him, you can’t help but feel his excitement and passion for this new vehicle. • There is seating for up to eight without losing your cargo space in the back so you can transport clients while your work gear is stowed safely (and out of sight) in the back. • A lower step-in height allows anyone to get in and out with ease. • The second row seats tilt forward to provide ample access to the third row. Or access the third row from the aisle between the second row seats. Either way, no more awkward climbs over the second row to reach the back seating area. • When your hands are full, you have push-button access to your vehicle. Or choose the hands-free option on both the sliding doors and the tailgate. Realtors, especially, come to mind with some of the technology features available in the new Pacifica. 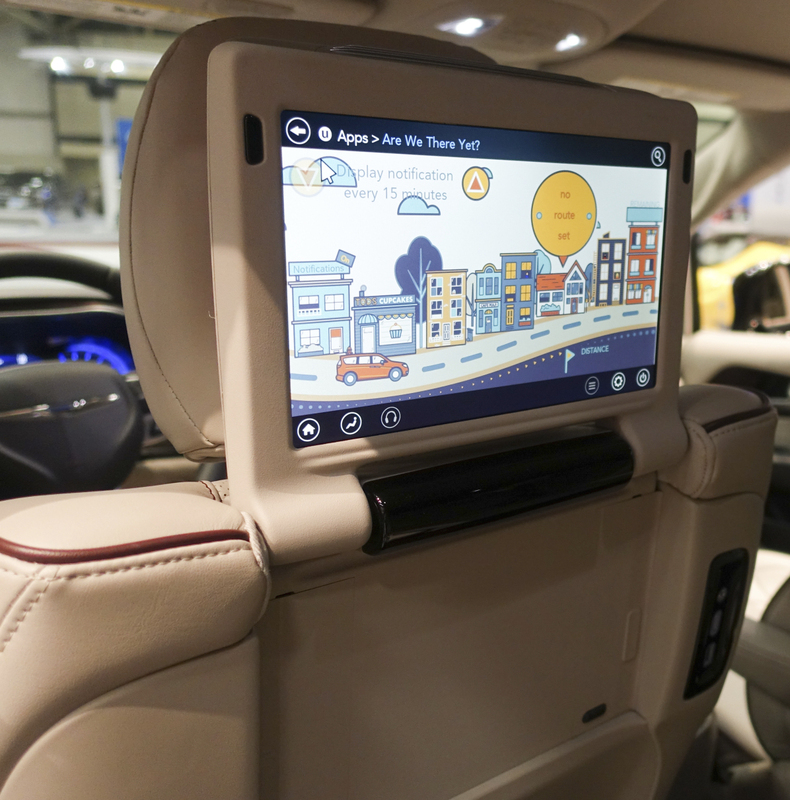 Share photos of homes with clients as you make your way to showings on 10-inch touch screens that flip up for second-row passengers. Or let your clients’ children participate in the adventure by tracking your destination with the “Are we there yet?” feature. All this and still plenty of room in the back for signs and other items that you need for listings, open houses, etc. A true gem, the Chrysler Pacifica is sure to be the new definition of the four Cs – comfort, convenient, cargo and, of course, cool. Be on the lookout – it will soon be available on a showroom floor near you!